Remembrance Day is a solemn occasion, but one that needs to be given top priority in the classroom in November. I don't feel like most children really know what we are remembering on this day. A true sign of their innocence as children. 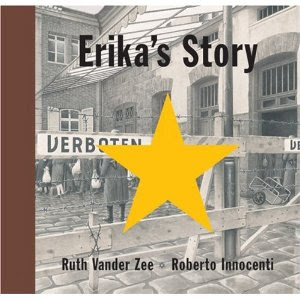 A memorable story for me, is Erika's Story by Ruth Vander Zee. I first heard this picture book when the librarian at a past school read it to my students. It is the heart breaking tale of a woman who was a child during the Holocaust. My students and I have been working with this book for a while, and will continue to do so until Remembrance Day. Their final task will be to write in role as adult Erika sending a letter to her mother. Finally, I saw this clip on YouTube for a pop up card. I think that it's a great variation on a poppy wreath. I plan on making these with my class on Thursday. Thanks for those great ideas, Angela. I'm pinning a couple of the books and the poppy card! Classroom Elf on the Shelf!